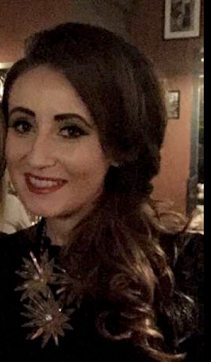 I hope you all had a lovely bank holiday week! 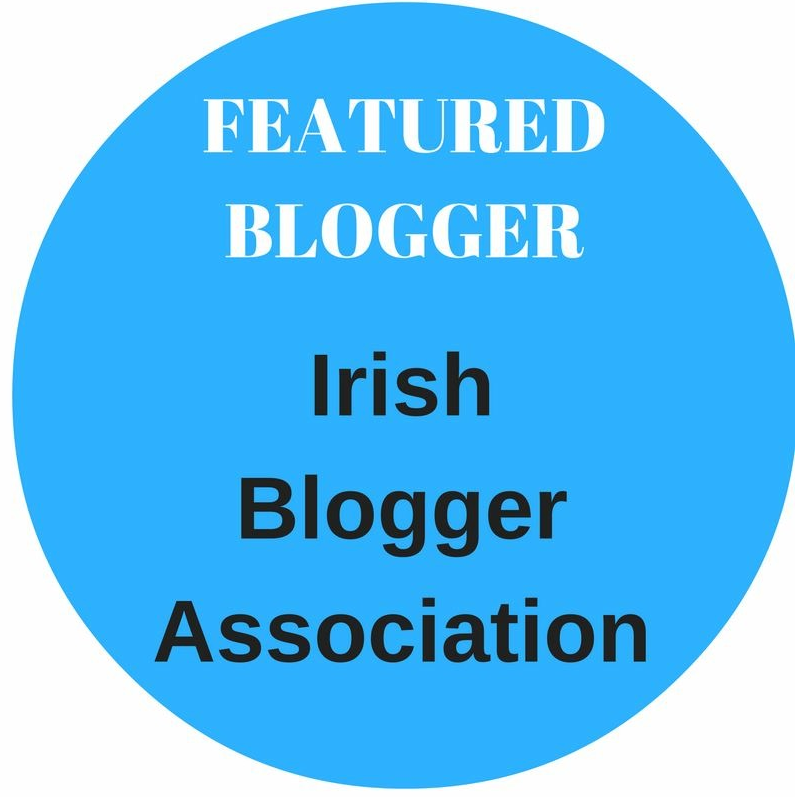 I ventured down to the west of the country for the weekend to lovely Galway! 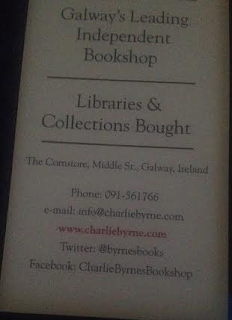 On Monday afternoon we took a stroll through town and I was introduced to the gem that is, Charlie Byrne's Bookshop. Talk about book heaven!! Every nook and cranny is crammed with every book under the sun! It's packed to the rafters...but in the best possible way! I haven't been a bookshop with such character in ages. I think my aunt may have regretted bringing me in for she couldn't get me out! By the time I left I just want to find a bay window and curl up and read! Now of course, the teacher in me got sidetracked in the Children's section and couldn't resist picking up a few things from there! As you may have noticed, I am addicted to buying picture books at the moment, and sure I couldn't get out of Charlie Byrne's without picking up another two!! 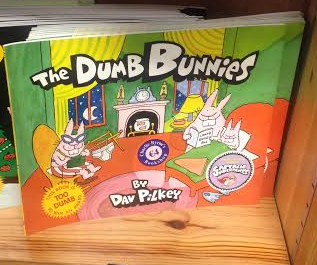 The first one was 'The Dumb Bunnies'. At first I thought, hmmmm but because it was recommended I thought I'd have a snoop. I was lol-ing out loud in no time. It's like a parody of the fairytales and by the author of 'Captain Underpants', Dav Pilkey. And as a lovely note in the bookshop mentioned, their books are for the enjoyment of boys AND girls, and I'm 100% sure this one will go down a treat with all my little ones! And!! It was only €4. The next one I picked up was 'Dogs don't do Ballet'. Another little bargain at only €3. 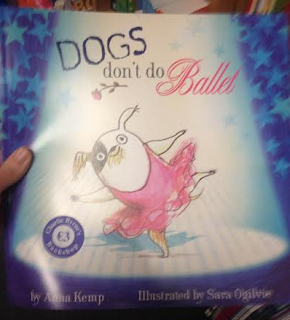 This is a gorgeous story by Anna Kemp, a really feel good one about having the biggest dreams...who's to stop you following them?! Another which I absolutely fell in love with was 'Specs for Rex' by Yasmeen Ismail. The cutest little story about Rex who gets glasses and is not impressed with them at all! 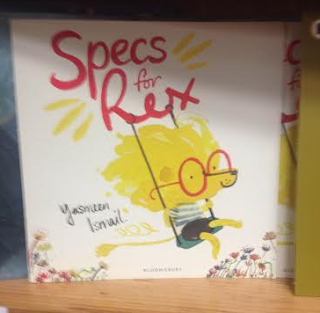 Rex spends the story finding funny little places to hide these dreaded specs! Lastly, I had a flick through this one in store but didn't buy it and really regretted it...... so I went and picked it up elsewhere today! 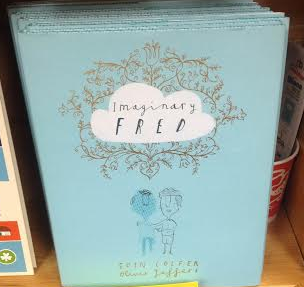 'Imaginary Fred' by Eoin Colfer and Oliver Jeffers. It's fabulous. It raises the issue of imaginary friendship and it's just lovely. 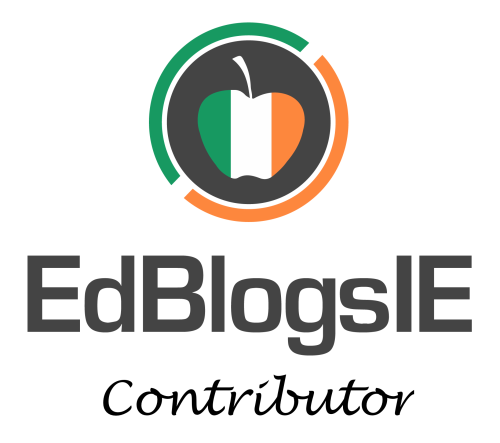 It's a story that leaves a lot of food for though and one that I feel you could use in so many classes through the school.Well worth checking out. So those are my little literary suggestions for this week and if you're in Galway, make a little spin to Charlie Byrne's a priority.....you won't be disappointed! !